Thanks to Blog Brunch I always look forward to first Saturdays. 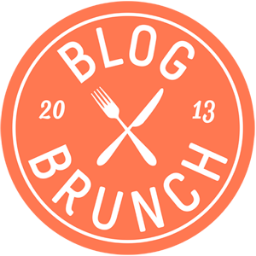 Blog Brunch is "a collaborative network powered by bloggers wanting to share, dream and learn with other creatives in the blogging community" that hosts Twitter chats on various blogging topics on the first Saturday of every month. This month's topic was on understanding your readers and increasing your readership. And I took notes for all my blogging babes! 1. "Remember that your blog is only one part of your brand," said Kristin Tweedale a.k.a. @rukristin. "In order to build relationships, meet readers on multiple levels." 2. If your readers are fellow bloggers, read and comment on their sites. This will keep those readers loyal and may attract their followers to your blog. 3. Feature other bloggers on your blog. 4. Collaborate with other bloggers. 5. Network offline and keep those business cards handy. 6. Try to get your blog mentioned in a national magazine. 7. Post topics that your current readers will be eager to share. 8. Be active in blogging groups and communities. 9. Host linkups on your blog. 10. Kristin Tweedale had another great quotable Saturday afternoon: "Be interested in your readers," she said. "If you're not interested in those who are consuming your content, you're not doing it right."